Hey Everyone! 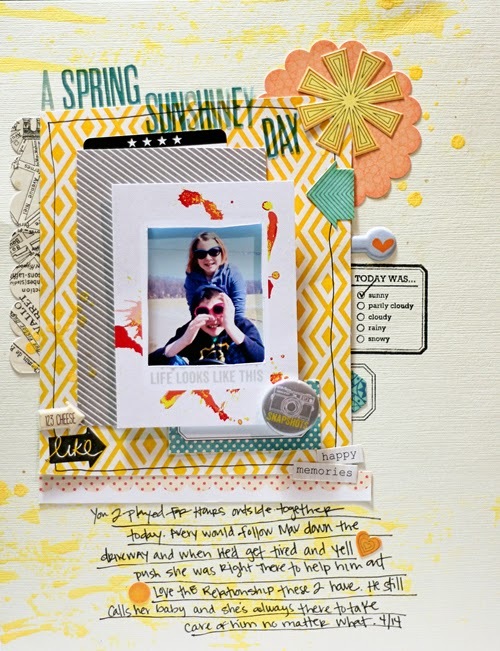 Mandy bringing you some Sunshiney Spring inspiration in the form of an 8.5x11 layout. 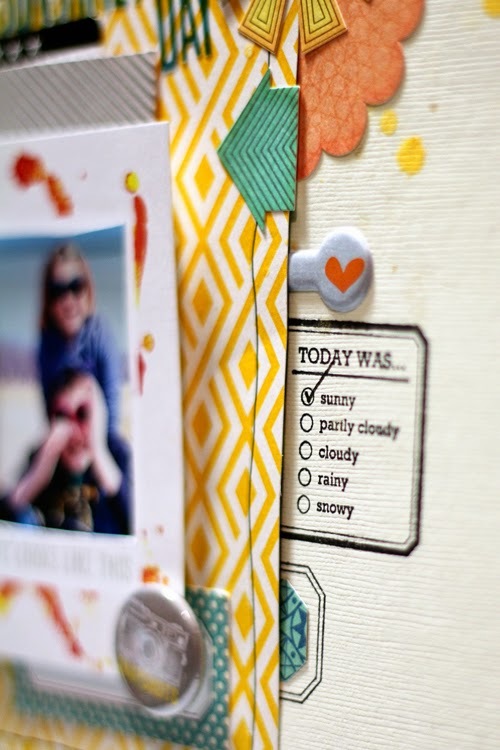 To create this layout I grabbed my Evalicious drawer from my cart and my scrap paper bin. The first thing I grabbed was that card I cut into a frame and it inspired me to think outside my box and have a bit of fun with this layout. 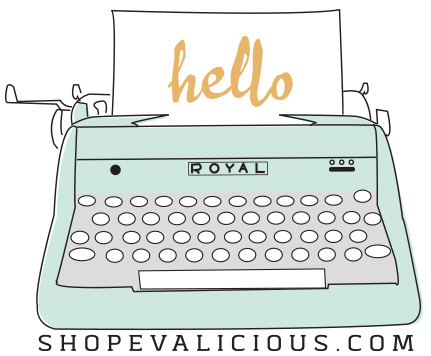 I'll be honest I'm not much of a stamper or mister it's just too messy for me but since joining the Evalicious team and getting all the fabulous stamps I am using stamps more often on my pages now. In this detail shot you can see I used 2 label stamps but the lower one I stamped wrong so what was I going to do? Instead of starting over I cut a piece of coordinating paper in a labelish shape and tucked in. I love that it adds one more layer to my layout. Layers! I probably sound like a broken record with every post but it's my go to right now lots of layers and lots of foam adhesive squares. I used foam adhesive squares on the back of the frame. 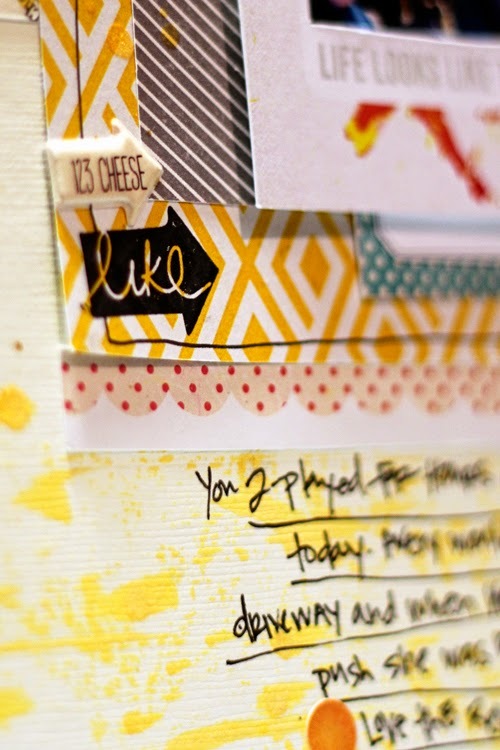 More messiness and stamping. I love mixing the Evalicious arrow stamps with the Puffy embellishments. 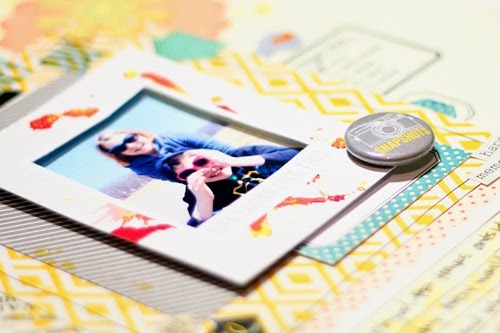 Spring colors, wonky journaling lines and paper cuts make this a fun bright layout.